First American Insurance has been in business for over one hundred years and has become a global leader in title insurance policies. It is a subsidiary of The First American Financial Group. The company does not currently sell, nor have they ever sold health insurance; however, if you are looking for a homeowner’s or property and casualty policy they may fit your needs. Search for companies that offer health insurance policies that meet your needs. Click here and enter your zip code for a list of quotes from health insurance companies in your area. If you wish to contact First American about any of their policy types, file a claim, or speak to customer service with a question or concern you may do so via phone or mail. First American was founded in 1889 as a small local title insurance company known as Orange County Title Company in Orange County, California. The company began when Orange County split from Los Angeles County and the rural area of Orange County required its own title insurance provider. The company later merged a few years later with the title insurance company in Los Angeles. 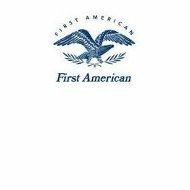 They continued to operate in this small local capacity until 1960 when their business and services expanded and they changed their name to First American. First American purchased Great Pacific, which became their Property and Casualty division. In 1999, Great Pacific changed its name to simply First American Property and Casualty. First American is now licensed to sell insurance in all fifty states and has over $8 billion in assets. The company has also expanded its title insurance services, as well as, financial and banking services that it now offers, to several countries worldwide. Executive Chairman, Parker S. Kennedy, and CEO, Dennis J. Gilmore currently lead first American. One type of insurance that First American does not sell in any capacity is health insurance. First American has received a rating of A, which is considered excellent, from A.M. Best, the leading rating company for insurance providers. The company has a solid financial base and profit margin. Another plus for First American is the fact that it has a well-developed website that provides a wealth of information for potential customers, current customers, and investors. It has easy to follow links and a visually pleasing format. Consumer ratings are much less positive. There were many more negative reviews than positive reviews from current or former First American customers. The overriding complaint voiced in almost all reviews was in regards to the claims process. Reviewer after reviewer talked about how long First American takes to process, pay out claims, and often fights in an attempt not to pay claims that people felt they were entitled to, based on their coverage. If you need health insurance, First American is not for you, but many other companies may have policies and plans that meet your needs. Find one that also meets your budget by clicking here and entering your zip code for a list of rates from local health insurance companies.